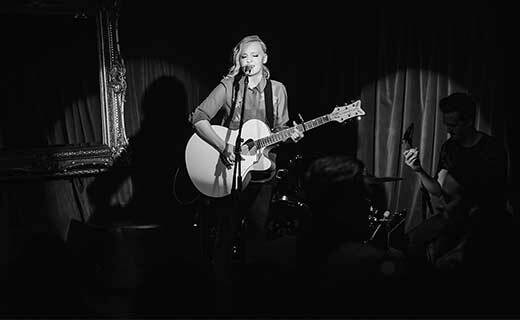 Four bare feet scamper across the dusty wooden boards. We’re sat in the home of twin brothers Kittikom and Kittikoon and we’ve just asked them what their prized possessions are. They waste no time explaining, and rush to grab a basket full of marbles which they carefully carry back. 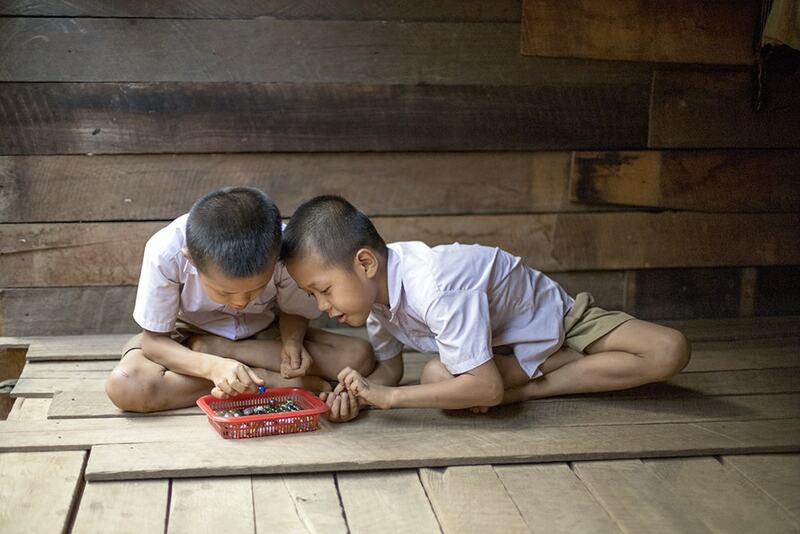 Growing up in this remote village on the Thailand-Myanmar border has not been easy for the two seven-year-olds. A few years ago, their older brother passed away, followed shortly by their father. A game of marbles may seem simple but for Kittikom and Kittikoon it’s a chance to be children and have fun playing with their friends. From a water buffalo to a first birthday gift, we asked eight other children what items they valued most. Tui is 10-years-old and lives with his grandfather. 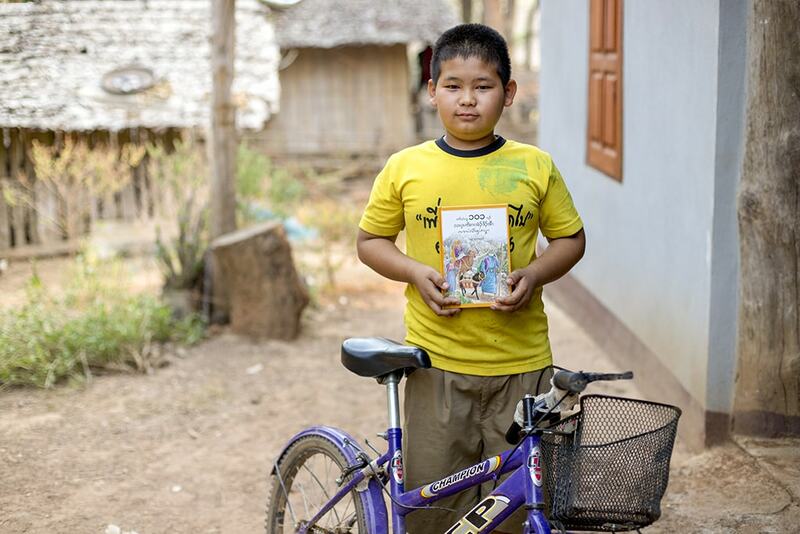 The items he’s most thankful for are his bike and his Bible. His bike was a gift from his father who came to visit last January. This is the only gift Tui has ever received from his father and it’s important because it’s the one memory he has of his father. His second item, a children’s picture Bible in the Karen language was a gift thanks to his Compassion child sponsorship. I love to read God’s story. The other Bibles I’ve seen don’t have cartoons or pictures, only texts, but my new Bible is full colour and has kids animation pictures inside. I’m so excited and I read it every day and take it to church. 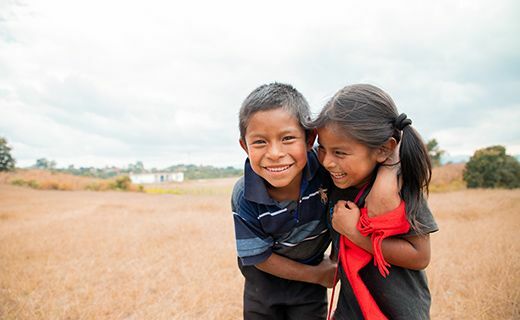 Every Compassion-sponsored child receives an age appropriate Bible or portion of scripture from their project. Like Tui’s, it will be in their native language. 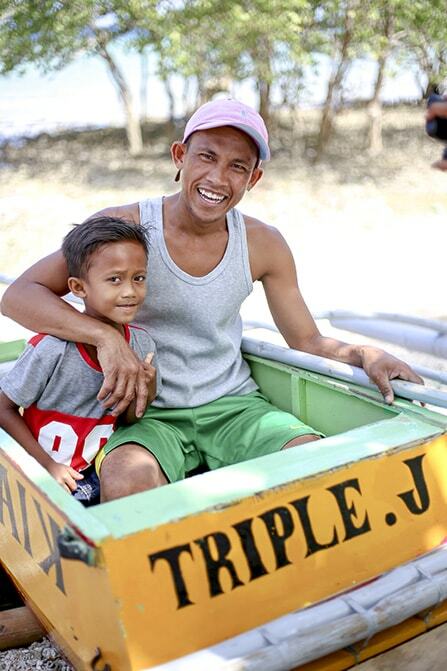 For seven-year-old Jake and his father Junel, their most valuable possession is a pump-boat. Before they received this gift from Jake’s sponsor, Junel feared for his life each time he took his small paddle boat out to sea. The family have named their boat “Triple J” for their three sons, James, Jopel and Jake. 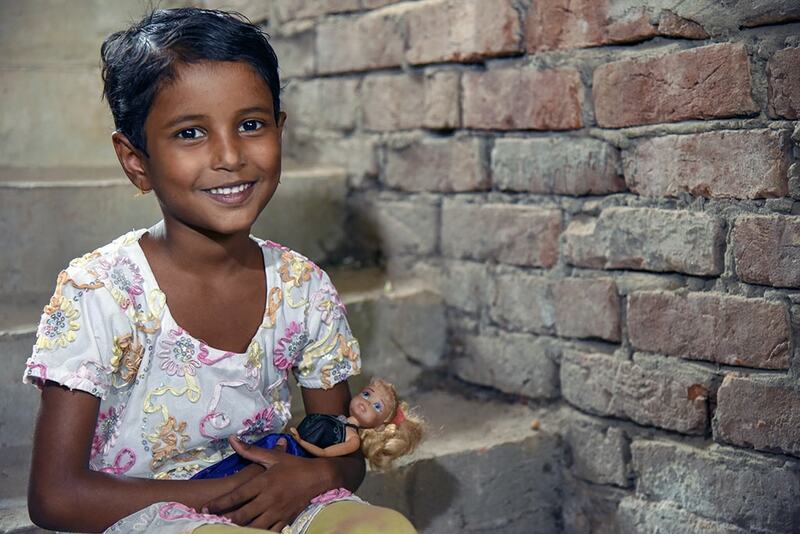 Nine-year-old Ravela’s parents have a very limited income. 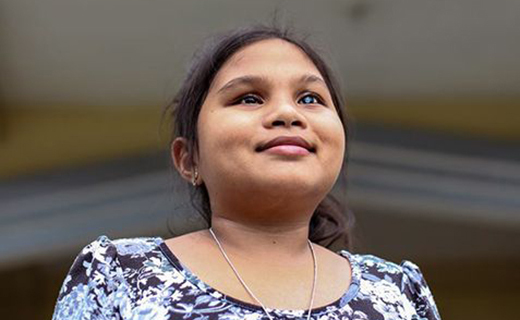 Her father works in a bike shop and her mother is a housemaid. Despite working hard, their income barely covers food for the family. 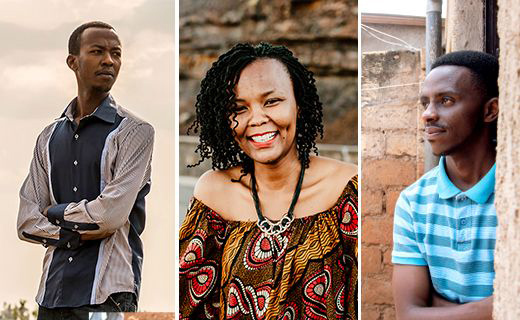 “My parents can’t afford to buy things whenever I want or request [them] because the money is just for buying food and renting a board house,” reveals Ravela. 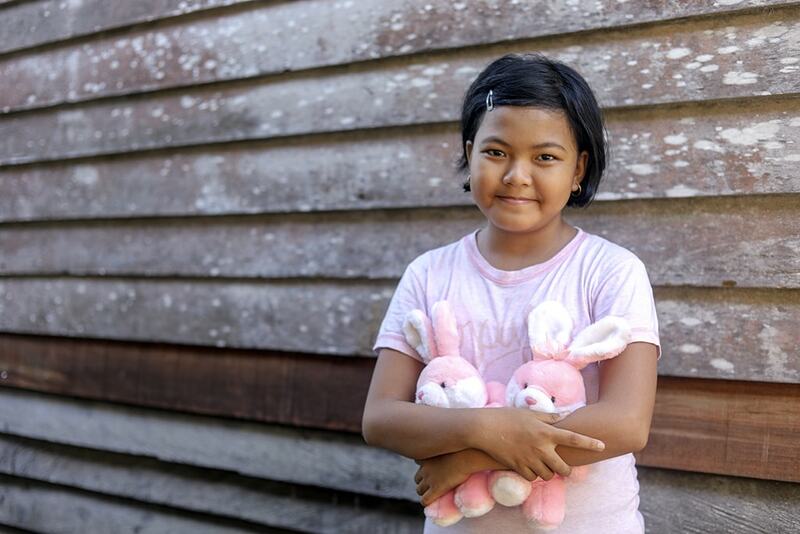 As a young girl Ravela longed to have a doll like her friends, so when her aunty gave her two pink bunny dolls, she was delighted. “My aunty gave me the pink bunny dolls and I really like them. I never had a doll before; the dolls are cute because they are pink and a couple,” says Ravel. For Ravel, there’s someone who’s even more special than her doll. “Even though I really like my pink bunny doll, I allow my friends to play with it when they are gathering at my house. One thing that I love and adore more than the doll is my mother. I think the bunny doll could be replaced by something or another doll but not my mother, I really love her and no one could replace her. I adore my mother because she is working every day and always smiling,” Ravel tells us with a giggle. 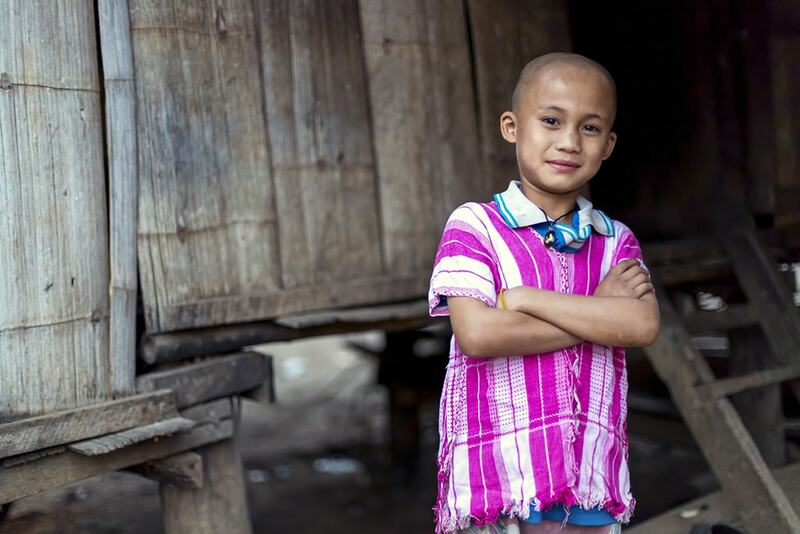 Aekreetoo is eight-year-old and lives in a rural village near the Thailand-Myanmar border. At home Aekreetoo doesn’t have any toys to play with, so going to his Compassion project on Saturday is a special time because he can play with his friends and the toys at the project. 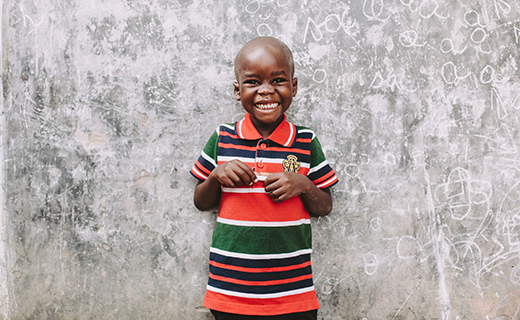 His most prized possession is his Karen shirt, the very first birthday present he ever received, which came from his Compassion sponsor. In Karen culture, wearing these traditional shirts to church is a sign of respect and dignity towards the tribe. When we asked what his most prized possession was, Gaudencio pointed eagerly to a carabao (water buffalo), a gift from his sponsor. It’s precious because no other 12-year-boy from a rural farming community in the Philippines could even dream of owning a carabao. 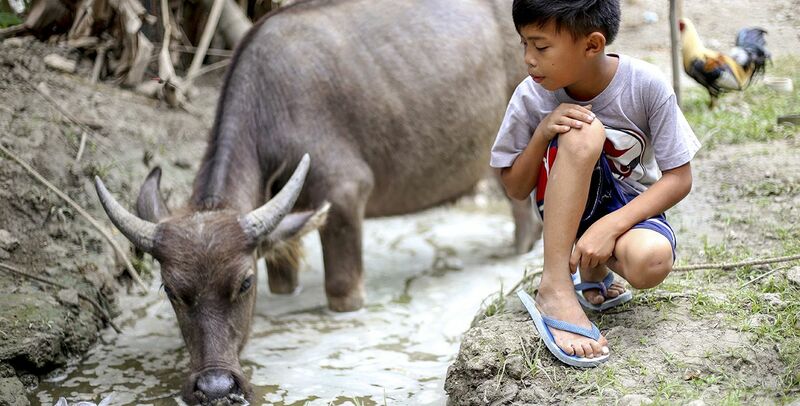 “I can’t imagine farming without a carabao,” says Cecilia, Gaudencio’s mum. “I can’t overstate how helpful this is to our family. It is, of course, easier to till the land and plant some crops with a carabao. 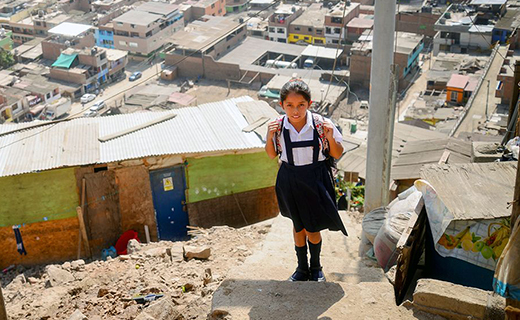 Not many families here own one, and this one is owned by a 12-year-old boy,” says Cecilia laughing. Gaudencio helps the family farm by taking care of his ‘pet’. 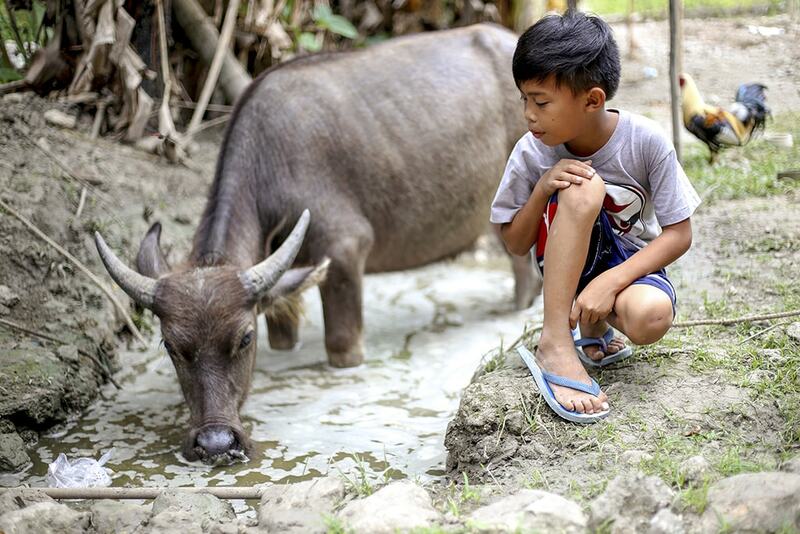 He leads the carabao to feed in the field, finds puddles for it to drink and even gives it a bath! 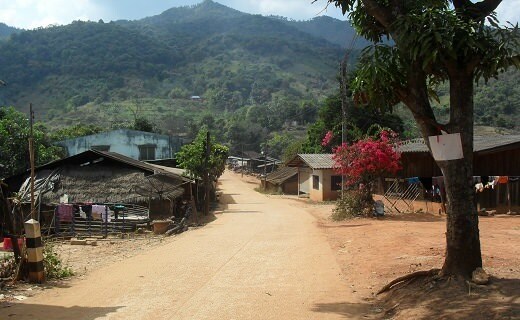 Adelia lives in Pampang, Indonesia. Her prized possession is her dog Kopi which means coffee. 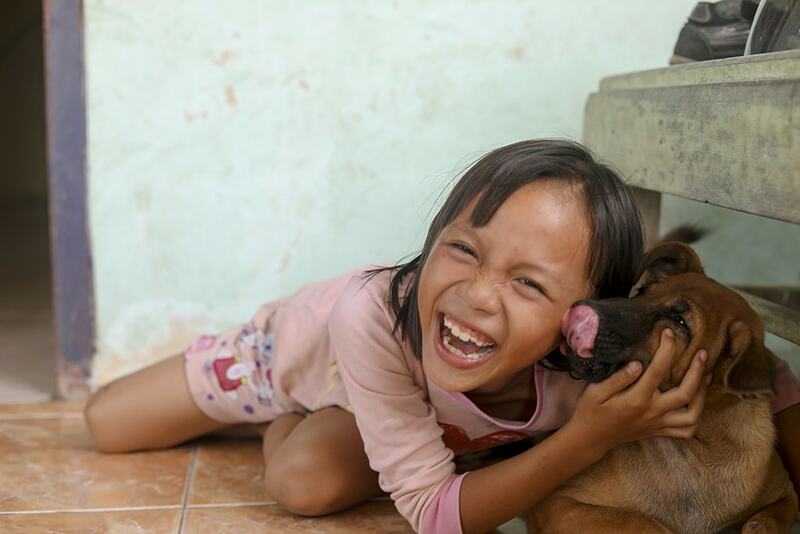 In her community, having a dog is a useful house keeper as they guard the house while the family works in the field. Remarkable siblings, Pimchanok, Karn, and Rada have lived with their grandparents in TataFung village for around six years. Their parents dropped them there to live, but after one visit they separated and haven’t been back since. When the siblings arrived, they spoke Burmese but have since learnt two new languages - Karen and Thai. Their grandparents live by the river and as well as learning new languages Pimchanok, Karn, and Rada have learnt how to swim. “[The river] is one of our most prized possessions that we ever had,” Pimchanok says with a smile. Many of the possessions the children treasured the most were made possible through child sponsorship and extra gift giving. 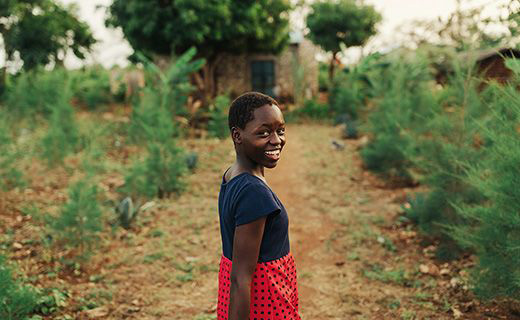 If you sponsor a child, we want to say a big thank you. We hope you’ve been encouraged by the impact and difference you’re making. 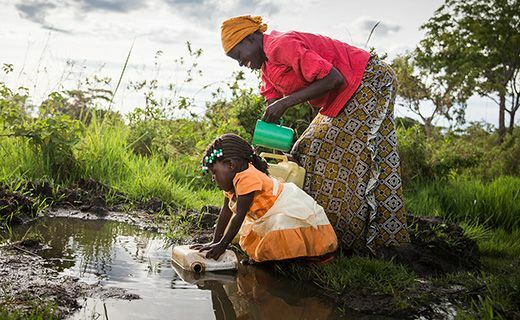 Thank you for the lovely stories of the precious gifts that children have received from their sponsors. Through the sponsors, God in His greatness has helped these children to feel worth and joy and experience happiness in their lives. 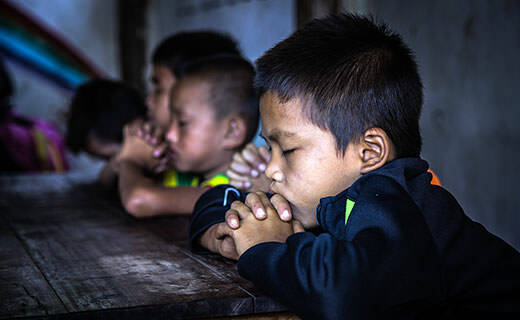 How can I find out about the precious gifts given to my sponsor child? Join us in praying for all those impacted by Tropical Storm Pabuk in Thailand.